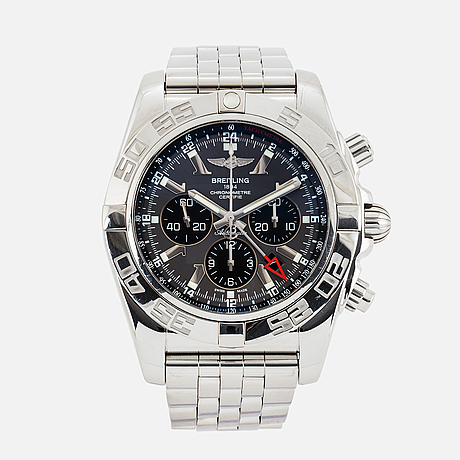 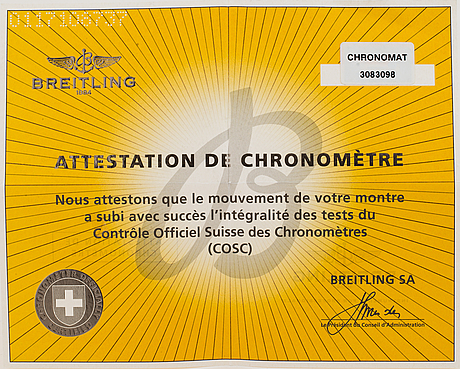 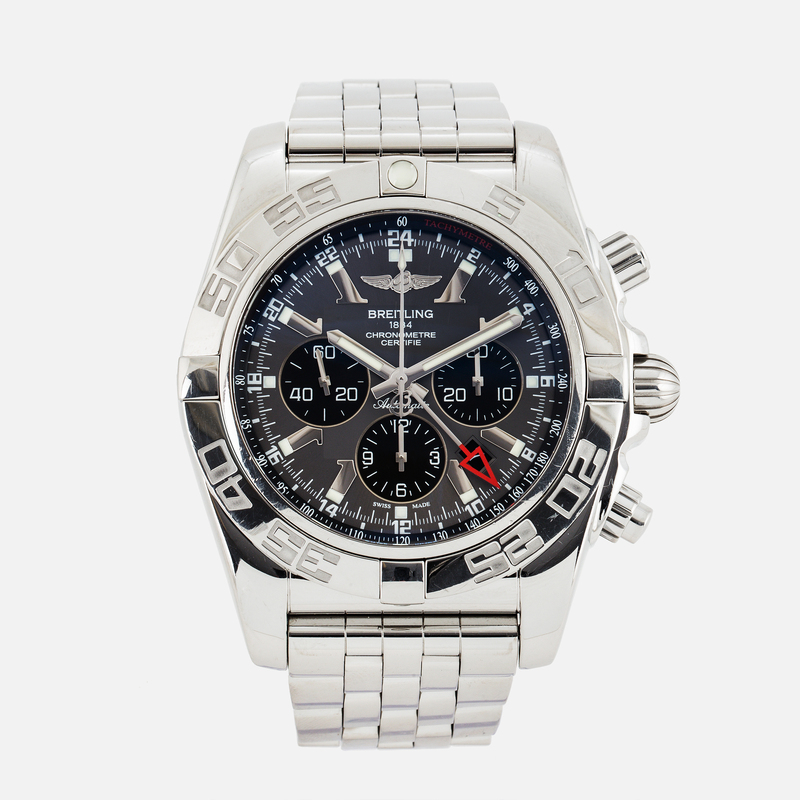 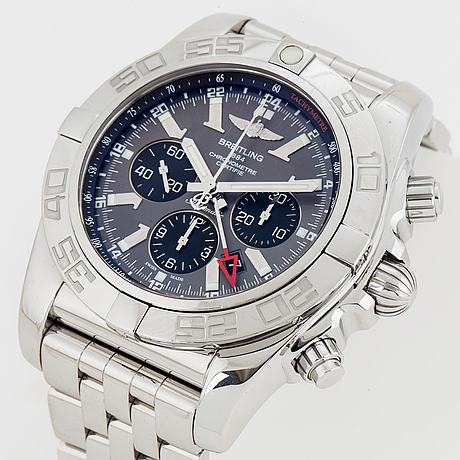 BREITLING, Chronomat GMT, chronometre, "Tachymetre", chronograph, wristwatch, 47 mm. 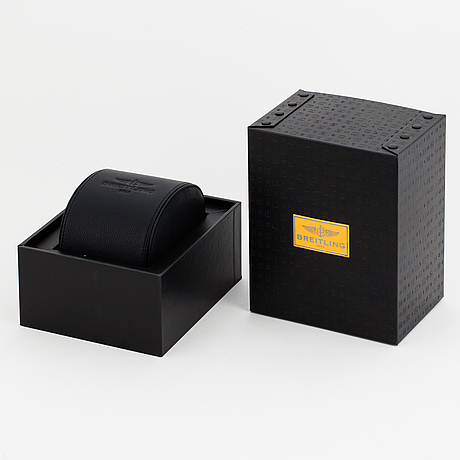 Steel, automatic, sapphire crystal, date, Pilot bracelet, folding clasp, Cert May 2013, box, paper box. 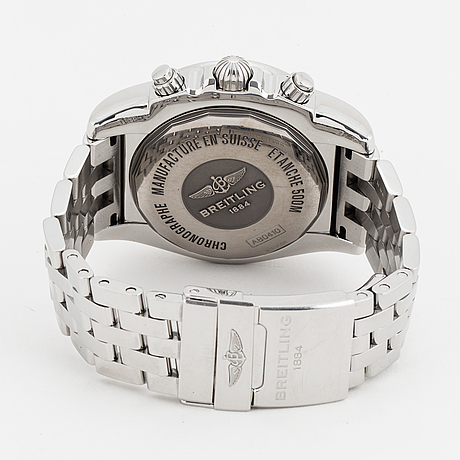 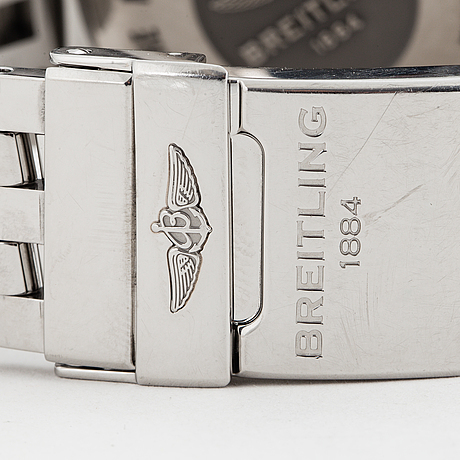 Caliber Breitling 04, Reference no. 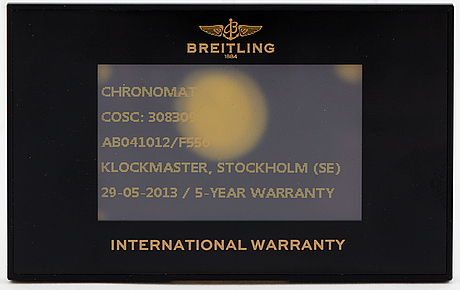 AB041012/F556, Serial no 3083098.